I should have had this out on the wire a while back, but better late than never. The 17th annual Lake Erie Wing Watch will be held this Saturday, in Port Clinton, Ohio. Hard on the shores of Lake Erie, this is the self-proclaimed Walleye Capital of the World. But it's also a great area for birds, and as an attendee, you'll be a mere stone's toss from the Buckeye State's great cradle of wetland biodiversity, the vast marshes of western Lake Erie. But wait. There is more. Saturday features a star-studded cast of speakers, or at least a constellation of flickering flames headed by a genuine celeb of the bird world: Mr. Chuck Hagner, editor-in-chief of Birder's World magazine. You won't want to miss Chuck's talk, as the protagonist is a bird named for an Ohio town: that rarity of rarities, the Kirtland's Warbler. But wait. There is more yet. Other speakers include Tom Hissong on bird song; Mark Witt on waterfowl; Sharon Cummings on photography; Jen Brumfield on how NOT to bird; Mark Shieldcastle on songbird migration; and Larry Richardson on warbler ID. And since it's my blog, I can save me for last - I get to talk about those bloodthirsty winged killers, those avian scud missiles, those feathered guerillas: RAPTORS! For the complete skinny, just go ahead and click this right here. Saturday, March 28 marked the ninth annual Shreve Migration Sensation. This event is a doozy – perhaps the largest single-day birding festival in Ohio. This year, a jaw-dropping 915 attendees showed! 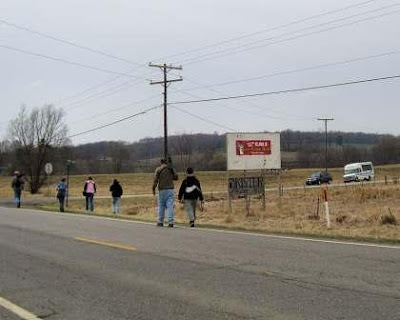 The epicenter is the little Wayne County, Ohio burg of Shreve, which welcomes birders with open arms. The above photo shows evidence of this – one of many signs placed throughout town. The welcomed birders in the backdrop are, L to R: Marc Nolls, Cheryl Harner, Jimmy Sloan, and Jason "Grapefern" Larson. A huge doff of the hat to all of the organizers of this great event: Kevin Higgins, Joe Edinger, Bill Fought and all of the rest who organize and run the show. Kudos too to the ODNR Division of Wildlife; Friends of the Killbuck Marsh, Inc.; The Wilderness Center; Greater Mohican Audubon Society; Triway Local Schools; Shreve Library and Shreve Business & Community Association for their support and sponsorship. Every light pole on Shreve’s main drag is festooned with banners proclaiming the Migration Sensation. Your blogger/ecotourist leans against a post, just after spending dollars at the Des Dutch Essenhaus – some of the best Amish cooking you’ll find. And yep, those are freshly baked cookies in that bag! There are about 1,500 residents of Shreve – my mother hails from here! – and thus the impact of over 900 birders descending on this place has significant economic ramifications. I would love to know how much money was spent here this day. I know what I spent: about $120.00 in Shreve and Wayne County as a result of attending. That includes gas, lodging, food. If only half of the attendees – 450 – spent half that amount on average, it would still total $27,000. Not a bad one-day infusion, but I bet the total is a lot higher than that. One of the first things that attendees saw upon arrival at the Shreve Elementary School, where the talks are occur and vendors are housed, was this beast. A gorgeous Snowy Owl, just like Hedwig of Harry Potter fame, courtesy the Medina Raptor Center. Needless to say, this white Arctic-dwelling beast was a hit, and the subject of many photos. Unknown to me at the time, Ernie Cornelius was lurking in the background and snapped this pic of me snapping a pic of the owl. Six speakers gave programs on a variety of topics, and I was fortunate to be invited back for, I think, the fourth time. 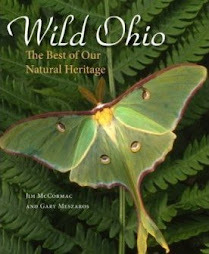 My program featured some of the best remaining wild lands of Ohio, based on a soon to be released book. 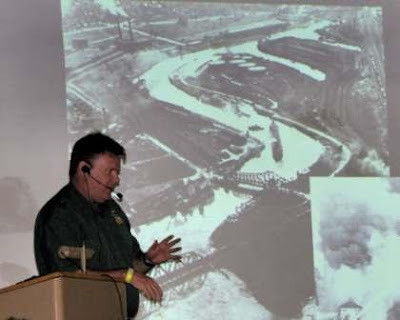 Dave Lewis snapped this shot of my first slide – the famous 1969 episode where the Cuyahoga River went aflame. Unfortunately that incident still sticks in many people’s minds, although much of the Cuyahoga River should be considered one of the most pristine tributaries of Lake Erie. Preceding my presentation were great programs by Chuck Jakubchak (Birds of Shreve); Kevin Higgins (25 Years of Change in the Killbuck Valley); Miles Reed (Africa to Killbuck Valley Marsh); and Chad and Chris Saladin (Peregrine Falcons). The always popular Kenn Kaufman made his first appearance in Shreve, and gave a wonderful program on bird migration, supplemented with great information about the importance of shade-grown coffee. Here, Kenn is besieged by autograph-seekers following his talk. Thanks to Dave Lewis for this shot. One great thing about the Shreve Migration Sensation is that they encourage participants to get outside and go visit some of the fantastic wetlands of the Killbuck Valley. And scores of people do. All of the hotpsots have dozens of birders replete with binoculars and scopes, all day long. I suspect that nearly every resident of this area certainly must know what a birder is by now! Thanks again to Dave Lewis for sharing this photo with me. And we saw lots of birds. The Killbuck Marsh Wildlife Area sprawls over 6,000 acres, and there are lots of other wetlands elsewhere. This is the largest Ohio wetland complex away from western Lake Erie’s legendary marshes, and there is waterfowl aplenty during the sensation. These White-winged Scoters pleased the masses, and once again, the inimitable Dave Lewis provided the shot. The WW Scooters were the rarest of the ducks to turn up, but scads of more common species were about. They’ll be putting this gig on again next year. You’ll want to make the scene. Not long ago, one of my friends approached me to report a "mole" raiding her bird seed supply in the garage, and making a cache of the booty on a nearby shelf. This certainly didn't sound like the hijinks of any Eastern Mole that I've ever met, and I figured it was probably an even more interesting and little-known mammal. As with the Meadow Vole I recently encountered, fate was not kind to our mystery seed-raider, but did intervene to allow us another learning experience. When I was quizzing the mole-person about field marks, she let on that the beast had expired. "What! You have it?" enquired I. And she did, so I convinced her to bring in the carcass, which has languished in the freezer until today, when I brought it out for photos. And here it is - the mole-like thief of seed. This tiny little brute is a Short-tailed Shrew, Blarina brevicauda. They are surprisingly abundant throughout Ohio and the upper midwest. And as we shall learn, they are indeed poisonous, and I'm not making that up. Ridiculously hyperactive with a metabolism that races like a meteor, I think they sometimes essentially just blow up - their heart erupts. I've found them several times dead but in perfect shape, with no obvious signs of trauma. Aptly named, these Short-tailed Shrews. There are a number of other species in these parts, but only one, the Least Shrew, Cryptotis parva, would have such a proportionately stubby tail. Least Shrews are much smaller and browner, though. In the photo above, I enlisted the help of several other strong men to move the shrew carcass into a position where it could be compared with my 1992 Ferrari F-40. Now you can clearly see not only the herculean proportions of the shrew, but also the potential danger posed by these bloodthirsty beasts. Also, using the Italian supercar as a prop allowed me to satisfy the hundreds of readers who have written in asking if I could someday model a dead shrew with one of Enzo Ferrari's creations. I chose the F-40 in part because I own it, but also because the F-40 was launched just prior to the Old Man's death in 1988. Enzo tasked his engineers with designing the world's ultimate road-going supercar in order to stave off the boys over in Bolognese, Lamborghini, who had released the outrageous Countach in the 70's, and until the twin-turbo 478 horsepower F-40, nothing in Ferrari's stable could match the Countach's performance. Now, most of you are saying "Like, whatever. Like, he really thinks we think he owns that car, for sure. Like, whatever, dude". Yo, man. Told you it was mine. Eat your heart out dudes, and chicks, form a line. Now that we've established the shrew's length at four to five inches with the aid of the only Ferrari I'll likely ever own, time to look at its pointy kisser. Shrews are very distinctive because of the shape of their nose - much different than moles, mice, or other small rodents. Their pelage, or fur, is amazingly dense and velvety - good protection against the cool damp earth that they spend much time tunneling through. That auger-like snout coupled with strong front legs and feet permit the shrew to rapidly and effectively bore through the earth in a frenzied nonstop hunt for victims to kill and devour. If you were an earthworm, beetle, grub, centipede, or even another small mammal such as a mouse, you wouldn't want to see this face rapidly snuffling towards you. I wasn't joking about the poisonous part. Shrews are incredibly ferocious, violent predators who may attempt to take out anything that moves, up to their size or maybe even larger. They'll eat seeds in a pinch, but are much more the bloodthirsty killers than some namby-pamby tofu-eating vegetarians. Gram for gram, this beast might be the most formidable, dangerous animal around. The saliva of Short-tailed Shrews is laced with venom produced by small glands near the mouth. This venom allows the shrew to quickly paralyze victims and effectively immobilize prey with deep quick bites often administered to the victim's face and neck. Animals unfortunate enough to encounter a shrew are sometimes torn asunder and devoured while still alive but largely helpless due to the paralyzing effects of the venom. People who have been bitten report that the bite is quite painful, and ill effects persist for up to several days. It truly is a good thing that nature, so far, has decreed that shrews will be small. I have been remiss in plugging the annual Shreve Migration Sensation, which will be held this Saturday, March 28. Ground zero is the small but charming Wayne County community of Shreve, where, incidentally, my mother hails from. This is a fantastic birding event, and a wonderful example of birding ecotourism. Every year, hundreds of birders descend on Wayne County to enjoy the festival, look for birds, eat good Amish food, socialize, and hear a variety of programs. Last year, I think there were something like 700-800 attendees. The vast wetlands of Killbuck Marsh Wildlife Area are but minutes away from the school in Shreve where the talks are given and vendors are headquartered, so it's an easy matter to go birding, retreat for a program or two, and go back out birding. And the birding is great. Probably every species of regularly occurring waterfowl will be found, many in big numbers. I won't be surprised if a rarity such as Eurasian Wigeon is found, too. There'll be other early migrants too, including yellowlegs, Tree Swallows, Wilson's Snipe, and a variety of raptors. This year, the speaker roster is capped by legendary Kenn Kaufman, and you won't want to miss that. And all this for the lofty admission price of $10.00. That's right, ten smackers. Can't beat that. Be there or be square! Saturday, March 28, 2009 7:00 a.m. to 5:00 p.m. Peak spring bird migration event includes self-guided tours with experts located at Help Stations in the nearby Killbuck Marsh, Shreve Lake, Brown's Lake Bog and Funk Bottoms wildlife areas. Killbuck is Ohio's largest inland natural wetland complex, covering 5,512 acres. Professional workshops, birding, wildlife and wetland vendor displays, pancake breakfast and lunch concessions, as well as children?s programs are held in the Shreve Elementary School. A $10.00 admission ($15.00 per family) includes any or all events and workshops. Registration will open at 7:00 a.m. at the Shreve Elementary School with FREE MAPS to the Help Stations (located in the marsh and at three other sites, all near Shreve). The Birder's Market Place opens at 8:00 a.m. The Shreve Spring Migration Sensation is sponsored by the ODNR Division of Wildlife; Friends of the Killbuck Marsh, Inc.; The Wilderness Center; Greater Mohican Audubon Society; Triway Local Schools; Shreve Library and Shreve Business & Community Association. PANCAKE BREAKFAST (7:00 - 10:00 a.m.), sponsored by Shreve School Relay for Life, and LUNCH, catered by Des Dutch Essenhaus, are available in the school cafeteria, located on the lower level. Follow the signs. Chuck will preview the birds that you are likely to see when visiting the birding hotspots in Shreve during the Spring Migration Sensation. He will discuss ?uncommon facts about the common birds,? and his presentation includes many beautiful photographs. Take this opportunity to learn more about the birds of Shreve and enjoy the subtle humor that is woven throughout the presentation. This will give you a heads-up on what you might see out in the marsh. 9:30 to 10:15 a.m. This time is reserved for those in attendance to visit one or more of the sites out in the marsh. See the map inside this brochure to find where we have experts with binoculars and scopes set up at four observation areas. Also a dip-net station is set up on Cemetery Road, and a guide is at Brown's Bog. This will also allow time to visit the Birder's Market Place, located in the school gymnasium. As Kevin approaches retirement, he will reflect on the changes he has observed in his last 25 years as area manager at Killbuck Marsh Wildlife Area. Land uses, human attitudes and habitat shifts have all contributed to some major changes in wildlife populations and species compositions on both the public-owned wildlife areas and the surrounding private lands and waters. Believe it or not, most wildlife populations and individual species distributions have increased. Some of these increases are due to reintroductions by the Ohio Division of Wildlife (river otter, trumpeter swan and wild turkey), but most are due to the natural ability of many species to adapt and even prosper in our constantly-changing corner of the world. Miles Reed is an award winning natural history filmmaker and the producer of the television series, The Natural World Around Us. His love of nature started as a child being raised on farms and sawmills in Ohio. He spent hours alone in the woods at a very young age. There he learned the patience required to see the unfolding of nature. Now, he still draws upon this skill to film anything from nesting warblers in Ohio to leopards in Africa or even anacondas in the Amazon. He has spent time with headhunters in the Amazon and primitive tribal peoples of Africa. This does not undermine his passion and love for our local flora and fauna. Miles speaks at venues for the Cleveland Museum of Natural History, colleges and many environmental groups. Miles will be sharing footage and stories from his adventures. You can see some of his work on the internet at www.milesreed.net. Chad Saladin and his wife Chris have been observing peregrine falcons in the wild for over 10 years. During that time, Chad and Chris have been volunteer peregrine nest monitors for the Ohio Division of Wildlife, keeping track of up to eight nest sites in northeastern Ohio. Their monitoring experiences have enabled them to witness the fierce personality, dynamic behavior and life cycle of peregrine falcons, which will be described and presented in this program using their photos and videos. A live peregrine falcon from the Medina Raptor Center will also be on hand, exhibiting the specialized features of this incredible bird of prey. Based on a new book authored by Jim McCormac, with imagery by Gary Meszaros, this program is a photographic journey through the best remaining wild places in the Buckeye State. From southern haunts bordering the Ohio River to lakeshore habitats buffering Lake Erie, Ohio is filled with wild landscapes. We'll look at some of the creatures and plants that make these sites so special and the global role Ohio plays in conservation. After 30 years of observing birds, Jim's Ohio list stands at 356. 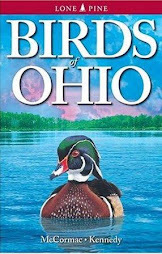 His book Birds of Ohio is a 360-page illustrated guide published by Lone Pine Publishing Co. in May 2004. 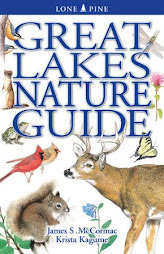 Another book, Great Lakes Nature Guide, will be released in spring 2009. Identifying birds isn't just a matter of memorizing all the field marks or knowing what the bird is supposed to look like. Whether you are birding by impression or feather detail, Kenn will help you with a more complete understanding of what you?re seeing and enhance your accuracy at bird identification. You'll want to visit Kenn's website at www.kknature.com/KFGseries.html. We'll make one last pictorial visit to the clear, rushing waters of Big Darby Creek, and take a look at a few more darters. I've got one more ichthyological mission scheduled in early April, and if all goes well, I'll return with even better fish photos. Speaking of photos and fish, a number of people have asked about techniques for getting shots. This has been my first stab at shooting fish, so I can claim no expertise, but am glad to share what I've learned. Ideally, a photo of a fish should look as if the photographer were in the stream and under the water with the fish. I wasn't. No real trick to getting the shots, but it is a bit of work. We lugged a small aquarium down to streamside, and fixed it up with rocks and gravel from the very riffles where the fish were caught. I found it is vital to really clean those rocks, or you'll have lots of suspended solids floating around. Then, just fill it up with clear water from the upper column of the stream. Next time, I will more thoroughly clean the rocks, though, and also put more of them in the aquarium, to put the fish higher up from the bottom of the tank, so that the edges of the aquarium don't intrude on shots. Might even try lugging out a few gallons of distilled water, letting them sit in the stream until temperatures are equalized, then using that in the tank for maximum clarity. The well-being of the fish is most important. We caught them in a seine, and kept them in small holding tanks in the waters of the creek, so that the water would remain cool. When I was ready for a new subject, I'd just remove it from the temporary tank and drop it in the aquarium. After shooting it, the darter would be liberated back to the creek. We didn't lose any in the process of photographing them. And darters are easy to work with. As they lack swim bladders, they sink right to the bottom of the tank. With a bit of prodding, they can be enticed to settle about where you want them, eventually. Next trip, we're hoping to catch things like Rosyface Shiner in full breeding condition, and they'll be tougher to photo as they're more active. So, no great magic to this, but it is more work than going out to shoot wildflowers. Orangethroat Darter, Etheostoma spectabile. This is a species of small-order streams and headwaters. Mac Albin and Anthony Sasson, the aquatic ecologists who were with me, found this one in a small tributary. A guaranteed showstopper, orangethroats can be quite common in appropriate situations. The throat is lightly suffused with orange, as would be expected from the name. Although not the brightest star in the cast of darters, this one is perhaps my favorite. It is a Tippecanoe Darter, Etheostoma tippecanoe, one of Ohio's rarities and currently listed as threatened. Tips occur in only a few stream systems in the state, not coincidentally, our healthiest ones like the Darby. The odd name stems from the type locality, or first collection: the Tippecanoe River in Indiana. In all, tips are found in only six states and are considered rare or imperiled in five of them. One of the smallest darters, even a bulked up Tippecanoe Darter is maybe an inch and a half long. Capturing their true splendor is difficult, for two reasons. One, tips like to retreat into rock crevices, even in the tank, and they are so small it's easy for them to hide. I spent some time with thus unit trying to get anything at all. And two, it's hard to get their colors to pop out. In real life, these elfin fish are resplendent in hues of rich orangish-gold. I'll probably see more on the next excursion, and will hope to produce some stronger images. I offer some more photos from Sunday's aquatic excursion - images of those beautiful little fish known as darters. It would be a better place if everyone could see these colorful little jewels in person - any life would be enriched. Banded Darter, Etheostoma zonale. These elfin beasts lurk in the cobble of riffles, seeking out, attacking, and eating small stream life. I suppose it would be an honor to be consumed by such a beautiful creature. Better than being eaten by a catfish! Banded Darters are a common stream species in much of Ohio, and have a distinctive pattern of uniform emerald-green stripes along the body. While certainly not a candidate for the Elton John Award for Excessive Gaudiness amongst Darters, Johnny Darters, Etheostoma nigrum, have their own charm. Johnnys are often very common in Ohio streams, and have an interesting pattern of little W's along their sides. The blue whale of the darter world, a Logperch, Percina caprodes. The average darter probably measures a scant two-three inches. These whoppers can tape out at seven inches. Almost unbelievably showy in tones of emerald, offset with a band of brilliant orange at the base of the dorsal fin, is the Greenside Darter, Etheostoma blennioides. One more of the Greenside Darter. This is a real ooh and aah fish, guaranteed to get a reaction from someone who has never seen one before. They have an interesting and scattered distribution, with some populations well removed from others. One of Ohio's real rarities, a Bluebreast Darter, Etheostoma camurum. Bluebreasts are only known from seven states, and populations tend to small and localized. It's considered threatened in Ohio. While not as overtly showy as some other darter species, like many critters, it's hard to do full justice to a Bluebreast Darter through the lens of a camera. The sides are stippled with bright orange spots, and the fins have strong yellow tones. Barely visible is the rich turquoise-blue throat patch. Capturing and photographing aquatic species such as these darters is a real treat, and I've got more pics to come. I also hope to make one more field trip this spring, and apply some improvements in photographic technique for shooting fish. When I first began my career, I had the good fortune to make many trips afield with Ted Cavender and Dan Rice, two of the top fish guys in Ohio. 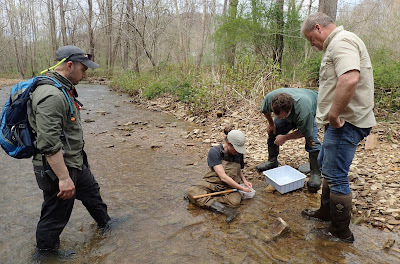 Once they saw I was truly interested in stream ecology and fish, they let me serve as labor on fields trip far and wide. In the process, I got to see nearly all of Ohio's fish, and learn them pretty well. But that's been a while, and circumstances haven't let me look for fish in a serious way for a long time. For a few years, though, I've been threatening to make concrete plans with Mac Albin, another true fish guru, to work some riffles in Big Darby Creek. Finally, today was the day, and we couldn't have picked a better one. Warm air temperatures and low water levels made conditions for catching fish just perfect. And we're not talking Smallmouth Bass or Bluegill - oh, no, much more interesting piscine targets than those were our goal. Our main quarry were darters. These are tiny members of the perch family, and they mostly lack air bladders and thus can't float. So one doesn't often notice darters, and you've pretty much got to make a special effort to find them. And darters truly are the warblers of the depths. At this time of year, males brighten up and their colors rival just about anything one might find in aquaria. Reds, oranges, blues, greens, you name it - darters are a rainbow palette of showiness. Big Darby Creek, in Battelle-Darby Metropark. This 8,000-acre park protects large swaths of the Big and Little Darby Creeks, one of North America's standout river systems, and one of Ohio's most significant natural resources. More species of fish occur in these waters than any other Ohio stream, including many very rare ones. For our subjects, we're going to have to go underwater, into rapidly flowing riffles like the one above. You see, most darters are torrent specialists, uniquely equipped to negotiate the unending rush of chutes and rapids. In some places, it is nearly impossible to find purchase and remain erect and holding a seine, so forceful is the sweep of the water. But if you can, there will be darters down there. Mac Albin, left, aquatic ecologist for Franklin County Metroparks, and Anthony Sasson, freshwater conservation coordinator for The Nature Conservancy. They may be the two most knowledgeable people around whan it comes to the Darby Creeks, and it was a treat to spend time in the water with them. We spent about three hours working just one riffle and some assoicated habitats, and scored big time. In all, we got ten species of darters, most in good numbers. This would be like finding 30 species of warblers in one day in Ohio. For those darter listers among you, we had: Rainbow Darter, Bluebreast Darter, Spotted Darter, Tippecanoe Darter, Greenside Darter, Orangethroat Darter, Banded Darter, Johnny Darter, Variegate Darter, and Logperch. Of course, a healthy stream has much more than darters. We dredged up this robust hellgrammite, which is the larval form of the dobsonfly. Fishermen love 'em for bait. They've got a decent pair of pinchers, and this one gave Anthony a good nip. Wish I had caught that on film! Stonerollers, Campostoma anomalum. Fish are not easy to observe, and concerted efforts have to be made to check them out. Thus, most people don't know much about what lurks under water. These Stonerollers are males in their breeding finery. Just like birds, the males of many fish take on brighter colors and a gaudier appearance for a short while during the breeding period, which for many stream species is right now. Stonerollers are bottom-dwelling minnows, and normally don't look like much. But for a few weeks, the male's dorsal fin becomes infused with bright color, bluish-white warts known as tubercles appear on the head, and even the eye color seems to get brighter. In essence, they become real showstoppers. Darters are aptly named. This is a Rainbow Darter, Etheostoma caeruleum, in habitat. They lack air bladders, and thus don't float. But this serves them well, and helps darters to anchor themselves to the cobble of stream bottoms in swiftly flowing riffles. There, they dart about with quick, abrupt movements, capturing an array of tiny macroinvertebrates and other stream life. Their stiff pectoral fins - fanned out to the sides in the above shot - are used as props, and help to hold the darter in place. It isn't difficult to see how this species got the name Rainbow Darter. Breeding males are absolutely striking, enriched with bold greens, blues, and reddish-orange. Although they appear exotic, like something that should be in a saltwater aquarium, Rainbow Darters can be quite common in appropriate habitat. Mac and Anthony seined up about 400 of them today. Part of a male Variegate Darter, Etheostoma variatum, in breeding condition. The transition to breeding condition is triggered by water temperature. I think Mac told me that Variegates come into color when water temperatures hit about 48 degrees. This is another common species, and one that gets fairly large by Etheostoma darters standards. A whopper might stretch the tape to three or four inches. This is an extremely colorful darter; almost makes you blink and rub your eyes! Variegates are found only in Ohio River drainages in Ohio. Variegate Darter on stream bottom cobble. Darters are especially sensitive to degradation of stream systems, as they require clear waters and clean substrates. Muck the stream up with too much sediment, and darters will vanish. Big Darby remains fairly pristine, in no small measure due to the hard work of Franklin County Metroparks and The Nature Conservancy. As Columbus and surrounding areas continue to grow, it will be increasingly difficult to protect the Darby, though. Hopefully we are up to it, and decision-makers can recognize the global significance of the stream, and its value to central Ohio. I shot off 345 photos today, and a fair number were keepers. I'll share other underwater warblers as the week progresses, including a few of the real rarities. I saw a Sharp-shinned Hawk the other day, tracing lazy, languid circles high in the sky. A migrant, the "sharpie" was off to parts north, and this is about as placid as you'll ever see one of these birds behaving. This got me thinking about "Sky Watch Friday". A lovely bit of goodness, this site allows photographers to post beautiful images of fluffy clouds, tantalizing sunsets, and other awe-inspiring views of the ether. But there are winged savages up there in the sky, like the above Sharp-shinned Hawk. If these feathered balls of testosterone were the size of Trumpeter Swans, we'd all be dead. They'd run us down, pluck off our extremities, and feast on our innards. The sharpie is a fitting subject for Psychotic Homicidal Beast Friday, a blogger's tribute to the week's end that is very unlikely to catch on. Sharp-shinneds like to attack things. They seem to be utterly devoid of fear. In migration, they'll routinely strafe larger, more sluggish and mellower co-migrants like Red-tailed Hawks, just for kicks, apparently. Yes, if these boys were human, they'd be stored in rubber rooms and fed through slots. All of the Accipiter tribe are hostile. These are the bird hawks, equipped with long rudderlike tails to facilitate quick jigs and jags, and short rounded wings, the better to accelerate in fast bursts and get through dense thickets. No songbird is safe with lurking accipters nearby. The above silhouette is a cardinal's Grim Reaper come to life; the spector of death for small birds. A Cooper's Hawk, the bigger relative of the sharpies and every bit as aggressive. They are like Mike Tyson, Wayne Gretzky, and Ghengis Khan rolled into one: savage aggression, suberb agility, and cunning warrior skills. I have seen coops go so far as to run on foot into shrubby thickets where songbirds cowered and the vegetation was too dense to fly into. That'd be like your worst dream come true, if you were the House Sparrow in the shrub. I photographed the above confrontation a while back. Cooper's (left) meets Sharp-shinned (right). They didn't like each other. It was a battle of Alpha versus Alpha, as the little sharpie badgered the bigger coop, who would then chase his tormentor. Kind of like two bigtime wrestlers, maybe Stone Cold Steve Austin going after Andre the Giant. Don't get me wrong. I love these birds, and admire everything about them. A group of us stumbled across the above Sharp-shinned Hawk, just after it had killed a Brown-headed Cowbird, last year. Like an unrepentant street thug, it gave us the evil eye for daring to intrude, and held its turf. These birds really aren't intimidated by much. It was very apropos that Attila the Hun bedecked his war helmet with the likeness of a Northern Goshawk, the largest and most savage Accipiter of them all. If you want to learn more about raptors, or even if you don't but do want to attend a fun birding event, come to Lake Erie Wing Watch. Held on Saturday, April 4th in Port Clinton, there'll be plenty of interesting talks, capped by keynote Chuck Hagner speaking about Kirtland's Warblers. I'll be giving a program on raptors, and there'll be talks on waterfowl, bird song, shorebirds, photography, and more. Register HERE! A great paper recently was published in the esteemed Wilson Journal of Ornithology by three Ohio researchers: Cheryl Dykstra, Jeff Hays, and Melinda Simon. They've been studying red-shouldereds for years in southern Ohio, and have unearthed some fascinating behavioral traits associated with nest construction. 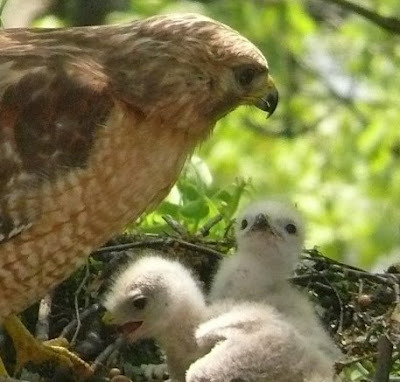 The title of the paper is: Selection of Fresh Vegetation for Nest Lining by Red-shouldered Hawks. Dykstra, Hays, and Simon document the preferences of the various tree foliage that these hawks, arguably our most beautiful raptors, use to rejuvenate their nests at the onset of the breeding season. Stunning Red-shouldered Hawk, Buteo lineatus, captured for banding. Photo courtesy of Bill Bosstic. Young hawklets in the nest, northeast Ohio. Photo courtesy of Jim Dolan. Of the twenty species of trees documented in the Dykstra et al paper as being added to nests, one stands head and shoulders above the rest in popularity amongst the red-shouldered crowd. Black Cherry, Prunus serotina, was found in over 80% of the ninety-eight nests studied in Hamilton and Hocking counties. And to me, this cherry/red-shouldered relationship is the most interesting facet of their research. So enamored are the hawks with cherry that they'll go out of their way to get the plant. Dykstra and company meticulously quantified all trees within reasonable reach of the nests, and cherry were only found close at hand in a bit more than half the cases. Of course, powerful flyers like Red-shouldered Hawks are not going to be overly put out flying halfway across the county if they wish, but the research does suggest they covet this foliage enough to travel out of their way to get it. The ability of these raptors to recognize the plant means that they are also adept amateur botanists: rapto-botanists, or perhaps buteoflorists. Why? The answer surely lies in the chemical composition of Prunus serotina. The foliage is rich in toxic nasties such as hydrogen cyanide, acetone, and a natural ant-repellant, benzaldehyde. By adorning their nests with sprigs of fresh cherry, the hawks are effectively playing the part of the Orkin Man. No pesky ants for Junior Red-shouldered! Very clever, these rust-shouldered beauties. White-marked Tussock Moth, Orgyia leucostigma. These little bags of heavily furred goo are real stunners, but I wouldn't recommend eating one. Not that you would, but I'm just sayin'. Birds probably shun them to some degree, too. In part perhaps because these tussocks feast on... Black Cherry. Just as the Red-shouldered Hawks decorate their abodes with cherry foliage for pest management purposes, an enormous number of caterpillar species chow on cherry, probably because they have evolved to process the nasty chemicals. And thus, become unpalatable themselves. Douglas Tallamy, entomologist at the University of Delaware, has found that Black Cherry supports far more species of moth and butterfly larvae (caterpillars) than any other species of tree, including oaks. It's a war out there. Plants don't like to be eaten. So they evolve toxins to ward off the insects. Insects evolve faster, and some cope with the poisons. They win, because then birds and other predators go "ugh", make faces and spit them out when they try for a snack. And theoretically don't try again. Then along comes some superior life form, like a Red-shouldered Hawk, and figures out how to put all of this to work. Nature is perennially fascinating. The Dykstra, Hays, and Simon paper is a short, interesting read, and for those of you not subscribed to the Wilson Journal of Ornithology, I've posted it below (sans Table 1, which wouldn't translate from the PDF file). ABSTRACT.—Red-shouldered Hawks (Buteo lineatus) typically line their nests with fresh branches of coniferous and deciduous trees. We recorded all species of green material present in 63 nests from 2003 to 2005 in suburban Cincinnati in southwestern Ohio, and in 35 nests in Hocking Hills in southeastern Ohio, United States. We identified all trees within 0.08-ha plots at 33 nest sites in southwestern Ohio and 30 in Hocking Hills. Red-shouldered Hawks in southwestern Ohio and Hocking Hills used black cherry (Prunus serotina) branches as a nest lining more frequently than expected, based on Bailey’s 95% confidence intervals. 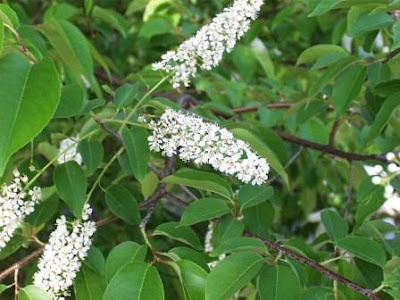 Black cherry was found in _80% of nests but present in only 57–58% of the vegetation plots, and composed only 4–5% of the trees in the forests of the study areas. White pine (Pinus strobus), red pine (P. resinosa), and eastern hemlock (Tsuga canadensis) also were used more than expected in both study areas. Black cherry is a cyanogenic species and may provide an advantage to nesting Red-shouldered Hawks by functioning as a natural pesticide. Received 26 February 2008. Accepted 1 July 2008.
not been definitively shown. However, it has been suggested that vegetation brought to the nest might serve a signaling function, indicating the occupancy status of the nest to con-specifics and others (Newton 1979), or a nest sanitation function, covering prey remains and waste (Newton 1979). leaves appear on deciduous trees, they carry both deciduous and coniferous branches to the nests (C. R. Dykstra and J. L. Hays, unpubl. data). The objective of our study was to examine if Red-shouldered Hawks selectively used particular species of green vegetation to line their nests. southeastern Ohio is composed of portions of Wayne National Forest, Hocking State Forest, Zaleski State Forest, and associated private lands in Athens, Hocking, Vinton, and Perry counties. The predominant forest type is oak-hickory with plantations of white pine (Pinus strobus) and red pine (P. resinosa). areas were previously known to us (Dykstra et al. 2000, 2004). We climbed to all accessible nests containing nestlings between 4 May and 13 June, 2003–2005 to document greenery and to band nestlings. We identified all branches or sprigs of fresh green vegetation in the nests to species or species-group, and recorded the presence/absence of each species. We identified only fresh greenery; it is likely this vegetation was collected by hawks after deciduous leaves had emerged in mid-April. Tree Species Available in the Study Areas. We recorded tree species and diameter at breast height (dbh) of trees _8 cm dbh to provide a sample for trees available near Red-shouldered Hawk nest sites in the SWOH and HH study areas in 1997–1998 (Dykstra et al. 2000). We centered a 0.04-ha circular plot (James and Shugart 1970) on each nest tree (n _ 33 in SWOH, n _ 30 in HH) and located a paired random plot at a distance of 75–200 m in a random direction from the nest. All trees within the plots were identified and measured (Dykstra et al. 2000). We combined data from each nest plot with that from its paired random plot to create a combination vegetation plot of 0.08 ha. Nests for which we identified trees in circular plots in 1997–1998 were not the same as those where we identified green vegetation in nests in 2003–2005; however, plots and nests were well distributed throughout the same study areas. This study design necessitated a pooled statistical analysis. above the 95% CI, we considered the nesting Red-shouldered Hawks had used that species as a lining more or less than expected, respectively. and reported the sum as a percentage of total trees in all plots combined. of nests but present in only 57–58% of the 0.08-ha vegetation plots (Table 1), and composed only 4–5% of the trees in the forests of the study areas (i.e., in the vegetation plots). The 95% CI assessment indicated white pine, red pine, and eastern hemlock (Tsuga canadensis) were used as nest-lining material more than expected based on availability in both SWOH and HH (Table 1). Red cedar (Juniperus virginiana) was used more than expected in SWOH. The remaining species were used in proportion to their availability or less often than expected (Table 1). The average number of species of greenery was 4.3 _ 0.2 (SE) per nest in SWOH and 3.5 _ 0.2 per nest in HH. However, the amount of greenery in nests varied widely, from a few small sprigs in the center of the nest cup to many large branches that covered the entire nest (C. R. Dykstra and J. L. Hays, unpubl. data). The average number of trees per 0.08-ha plot was 32.7 _ 2.5 in SWOH and 33.4 _ 2.5 in HH. Totals of 1,079 and 1,001 trees were identified in circular plots in SWOH and HH, respectively. Use of Coniferous Species as Nest Lining.— Red-shouldered Hawks in both study areas apparently used red pine, white pine, and eastern hemlock more than expected based on availability. Both pines are non-native in the study areas and are nonrandomly distributed (i.e., planted primarily in plantations or in residential areas); it is possible that our vegetation plots may not have adequately sampled the distribution of pines in the habitat. Hemlock is native in the Hocking Hills region, growing primarily in north-facing ravines and along streams. It is not native to southwestern Ohio although it is planted in some residential areas. Red cedar, used more than expected in SWOH but not in HH, is native to both study areas. It is much more common in SWOH than in HH, probably because the species’ nature as a scrubby, early-colonizer makes it more suited to the developed habitats of SWOH than to the heavily forested HH. Red-shouldered Hawks also carry significant amounts of these conifers to their nests before deciduous leaf-out (C. R. Dykstra and J. L. Hays, unpubl. data). Use of Deciduous Species as Nest Lining. on availability: more than 80% of nests we studied contained this species as a nest lining. in most forest types throughout the region. Black cherry is a cyanogenic species, releasing volatile hydrogen cyanide (HCN) from its leaves when they wilt or become damaged by herbivory (Conn 1979). The cyanogenesis reaction, in addition to HCN, also releases other volatile compounds such as acetone, 2-butanone and benzaldehyde, the last of which has been shown to repel ants (Formicidae) (Peterson et al. 1987). We suggest the black cherry used by Red-shouldered Hawks may provide an advantage to the nesting birds by functioning as a bactericide, insecticide, or insect repellent. Clark (1991) suggests that greenery some passerines add to their nests may release volatile compounds having insecticidal properties. The addition of yarrow (Achillea millefolium) to Tree Swallow (Tachycineta bicolor) nest boxes reduced flea abundance (Shutler and Campbell 2007), and removal of greenery from nests of European Starlings (Sturnus vulgaris) resulted in an increase in mite populations (Clark 1991). It would be interesting to examine the relationship between microbe and insect abundance, and presence of black cherry in hawk nests, to learn if black cherry has a positive effect on reproductive success. It would also be interesting to learn if Red-shouldered Hawks in other regions selectively line their nests with black cherry or any other species. We are grateful to Ann Wegman and Sandra Stone for assistance with field work. We thank the many landowners in southwestern Ohio and Hocking Hills who allowed access to private property. D. E. Andersen kindly reviewed an earlier version of this manuscript. This research was supported in part by RAPTOR, Inc., Martin and Julie Wiltz, Brad and Marsha Lindner, and the Ohio Biological Survey. BOAL, C. W., D. E. ANDERSEN, AND P. L. KENNEDY. 2005. Foraging and nest habitat of breeding male Northern Goshawks in the Laurentian mixed forest province, Minnesota. Journal of Wildlife Management 69:1516–1527. BUEHLER, D. A. 2000. Bald Eagle (Haliaeetus leucocephalus). The birds of North America. Number 506. CLARK, L. 1991. The nest protection hypothesis: the adaptive use of plant secondary compounds by European Starlings. Pages 205–221 in Bird-parasite interactions: ecology, evolution and behaviour (J. E. Loye and M. Zuk, Editors). Oxford University Press, Oxford, United Kingdom. CONN, E. E. 1979 Biosynthesis of cyanogenic glycosides. Naturwissenschaften 66:28–34. DYKSTRA, C. R., J. L. HAYS, AND S. C. CROCOLL. 2008. Red-shouldered Hawk (Buteo lineatus). The birds of North America. Number 107. DYKSTRA, C. R., J. L. HAYS, M. M. SIMON, J. B. HOLT JR., G. R. AUSTING, AND F. B. DANIEL. 2004. Dispersal and mortality of Red-shouldered Hawks banded in Ohio. Journal of Raptor Research 38: 304–311. ENGLAND, A. S., M. J. BECHARD, AND C. S. HOUSTON. 1997. Swainson’s Hawk (Buteo swainsoni). The birds of North America. Number 265. FERGUSON-LEES, J. AND D. A. CHRISTIE. 2001. Raptors of the world. Houghton Mifflin Company, New York, USA. JAMES, F. C. AND H. H. SHUGART JR. 1970. A quantitative method of habitat description. Audubon Field Notes 24:727–736. NEWTON, I. 1979. Population ecology of raptors. T. and A. D. Poyser Ltd., London, United Kingdom. PRESTON, C. R. AND R. D. BEANE. 1993. Red-tailed Hawk (Buteo jamaicensis). The birds of North America. Number 52. SHUTLER, D. AND A. A. CAMPBELL. 2007. Experimental addition of greenery reduces flea loads in nests of a non-greenery using species, the Tree Swallow Tachycineta bicolor. Journal of Avian Biology 38: 7–12. It's not only the birds that are possessed of silky voices and interesting vocalizations, you know. Anyone who is spending much time outside these warming days will have noticed other sounds - sounds from the amphibian world. If you are interested in learning about bird calls, you'll want to know about the above critter. It's a Spring Peeper, Pseudacris crucifer. These are tiny tree frogs, distinguished by that (more or less) X marks the spot on the back. Peepers do just that - they PEEP, and at deafening decibels. Their "song" is created by the male, who inflates a sac of loose skin at the throat to herculean proportions, and lets loose. The resultant notes are rather bird-like, and if one manages to get themselves surrounded by a managerie of calling peepers, the chorus almost hurts the ears. This time of year, Spring Peepers gravitate to wetlands to breed and lay eggs. Almost any little bathtub-sized wet spot will do, really. Here's what they sound like. I bet you recognize that! The other loud, conspicuous frog that is calling now is the Western Chorus Frog, Pseudacris triseriata. They are abundant, and often mixed in with Spring Peepers. These miniature tree frogs sound like someone running their finger down the teeth of a comb, but boosted by a stack of Marshall amps. Or perhaps a maniacal infant feverishly cranking the handle of a wind-up toy. LISTEN! Enjoy the amphibious symphony will you can. It doesn't last long. After spending yesterday sequestered inside, finishing off various things WHICH MUST BE DONE, today was ripe for an escape. And that I did, on a big blue sky day, warm and balmy. At least by early spring Ohio standards. Signs of winter's end were everywhere and very much in my face. Tallied singing Western Chorus Frogs, Northern Leopard Frogs, Spring Peepers, and noted Green Frogs leaping desperately from the bank as the giant humanoid approached. Even some Painted Turtles basked on sun-soaked logs. A real treat was hearing the sweet lilting whistled songs of American Tree Sparrows, tuning up before they strike out for the land of Midnight Sun and Polar Bears. I also saw a few Tree Swallows, bold scouts back before the mobs of their brethren arrive. Destination: Big Island Wildlife Area. This place sometimes gets overshadowed by the better known Killdeer Plains, seven miles to the north, but Big Island is even better. I had scads of birds here today, especially waterfowl, which were my main targets. At least seventeen species, and several thousand birds in all. Nothing unexpected, but this'll be a good place to watch for rarities such as Eurasian Wigeon in the coming week or so. There were plenty of American Wigeon, and it's in with those that the Eurasian will likely be. There were also a few hundred Green-winged Teal, and I knocked myself out looking for a Common Teal, to no avail. Gotta try, though, and definitely spend time looking through teal flocks for one with a horizontal rather than vertical white bar. I noted my first Eastern Garter Snake of the year; a couple of sluggish baskers on one of the dikes. These chaps really need to shed those skins. When they do, they'll be bright and shiny as a new penny. Still looks pretty good, though - unless you are ophidiophobic. I made time to stop by a Snow Trillium site scattered along rocky limestone woods buffering the Scioto River. Still a bit early for Trillium nivale; another two weeks and their creamy-white three-parted blooms will carpet this place. I did find one early bird jutting from the leaf litter and in bud. It always pays to abandon the auto and head out on foot. One sees so much more. I made about a two mile loop around the dikes at Big Island, and was delighted to find this Lilliputian beast. Unfortunately, it was dead, but this Meadow Vole's misfortune becomes our learning experience. Small rodents like this are very high-strung, with a metabolism that whirs like a Lamborghini going flat out. I wonder if he saw me and I gave him a heart attack. The body still felt warm; he couldn't have perished more than a few minutes before I arrived on the scene. Meadow Voles, Microtus pensylvanicus, are mice-like and probably often thought to be mice, as a flash of tiny brown fur is generally all one sees as they scamper through the grass. They are considerably heftier than our two species of deer mice, Peromyscus, though, weighing nearly double. Voles truly are furry sausages, and that's probably how raptors think of them. This is a very common prey item for Northern Harriers, Rough-legged Hawks, Short-eared Owls, and other birds of prey that hunt open fields. Like most small mammals, Meadow Voles have boom and bust years, and their peaks and dips have a direct effect on how many wintering raptors are present in a given area in winter. Cute little buggers. Unlike White-footed Mice (now known as North American Deer Mouse), voles have tiny eyes and appear earless. You see any ears on this guy? Now you can. The ears are actually quite large, but covered by dense fur. I imagine voles hear quite well. Meadow Voles also have stubby little tails, unlike the longer appendages of mice. Voles are primarily herbivores, eating grass, clover, and other succulent greenery. Those incisors look pretty impressive, but you are seeing both the upper and lower set almost straight on. Meadow Voles make exensive runways, which are tunnels through the grass. I knew a runway had to be close at hand when I saw the vole, and sure enough, there was. So I posed the vole within, and if he were alive, you'd pretty much just see a flash of fur as he booked along, partially concealed by the grasses. This is what those harriers and other raptors are looking for as they quarter over the meadows. Studies have shown that vole urine produces chemicals that are visible deep into the ultraviolet zone, and that birds of prey can thus see the trails left by voles. Therefore, raptors can quickly ascertain if many or few voles are present in an area, without having to see the actual animals.